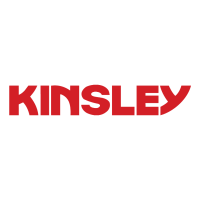 Kinsley’s Industrial group provides many different types of industrial services for a wide range of clients. We strive to be a one-stop contractor, working closely with clients to provide turnkey projects that are completed in a timely manner with the highest level of quality and a positive, can-do attitude. Our client base covers a wide range of industrial applications, including aggregate and mineral processing, manufacturers, food processors, and water and wastewater treatment plants. We have the capabilities to provide the industrial services for projects anywhere in the Mid-Atlantic region. We self-perform heavy foundations, fabrication, erection, rigging, millwright, piping, crane rental and heavy hauling. Kinsley is currently seeking mechanical trades at all levels including foreman, riggers, millwrights, pipefitters, welders, and skilled laborers. Our work includes machinery moving, complete facility relocate, plant maintenance, piping disconnects and reconnects, dust collection systems and Water/Waste Water Treatment. Travel in the mid-Atlantic region will be required. Kinsley will provide hotels and transportation. We pay the highest per diem rate in our market for meals and expenses. We offer competitive a pay and benefits package including Medical/Dental/Vision, Short/Long Term Disability, Life Insurance, 401K Plan with Company Match, Paid Holidays and PTO.